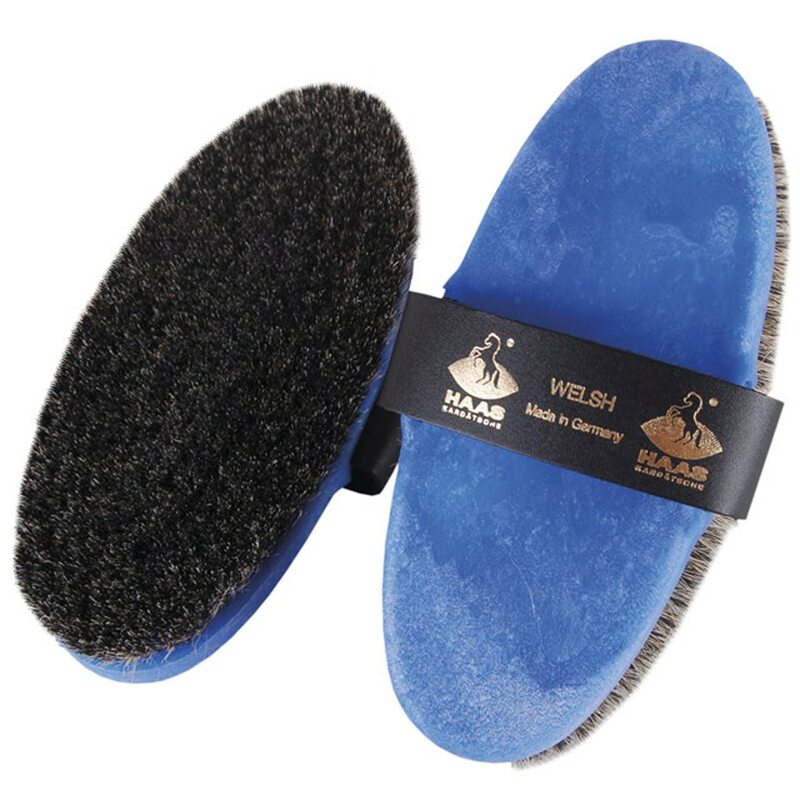 The Haas Medium Stiffness Welsh Brush is made of a combination of natural grey horse hair. The dense bristles are perfect for removing sand, light dirt, and dust even from a horse's thick or a winter coat. This is truly one of Haas' classic brushes and a must have for any brush collection! Made of a combination of natural grey horse hair. Dense bristles are perfect for removing sand, light dirt, and dust even from a horse's thick or a winter coat. One of Haas' classic brushes and a must have for any brush collection!